Just three weeks into 2019, we have had several new phone launches in India already. Chinese smartphone giant Huawei and its sub-brand Honor were, in fact, the first ones to launch new phones this year. Huawei started off by launching its new budget phone, the Huawei Y9 (2019) on January 10. Honor followed that launch by announcing the Honor 10 Lite just a few days later on January 16. 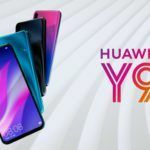 While the Y9 (2019) was supposed to go on sale starting January 15, Huawei postponed that to January 19. The Honor 10 Lite, on the other hand, is set to go on sale starting January 20. Interestingly, both these handsets are sold on rival e-commerce platforms. While the Huawei Y9 (2019) is sold on Amazon, the Honor 10 Lite is available on Flipkart. You can also buy the Honor 10 Lite from Honor’s own website once the sales start. Anyway, it is interesting to see these closely related brands launch two very similarly specced smartphones within days of each other. It is also plausible that many of you considering buying a new phone is confused which one of these might be the best suited for your kind of usage. That’s why we are here to help! 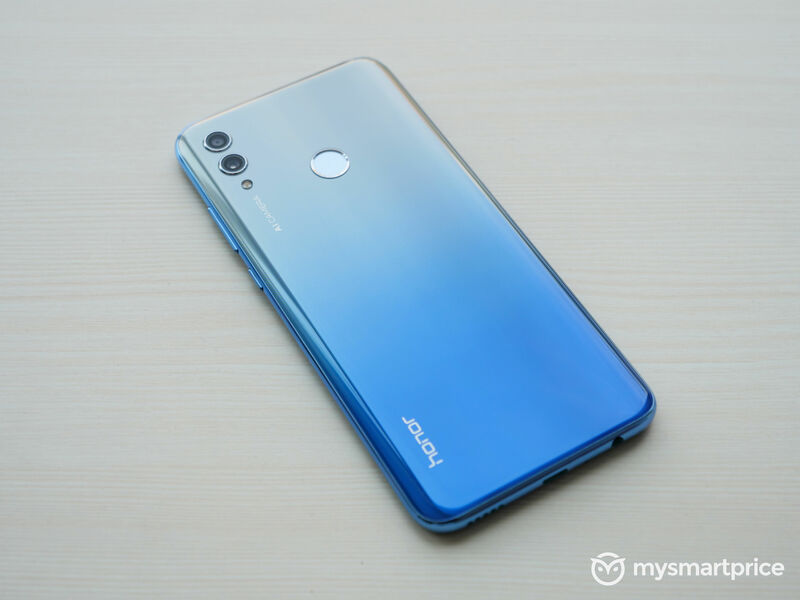 Let us now take a quick look at the similarities and differences between the Honor 10 Lite and the Huawei Y9 (2019) and help you choose between the two. 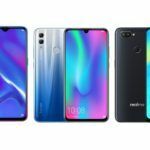 Honor 10 Lite vs Huawei Y9 (2019): What is similar? 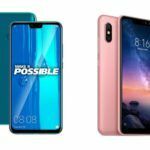 Both the phones in this comparison – the Honor 10 Lite and the Huawei Y9 (2019) – are budget devices targeted at the likes of the ASUS Zenfone Max Pro (M2), the Xiaomi Redmi Note 6 Pro, and the Realme 2 Pro. It comes as no surprise, then that both these handsets use the same HiSilicon Kirin 710 chipset which happens to be the newest budget SoC from Huawei. Both these handsets also come in a version that gets Huawei/Honor’s trademark gradient finish on the rear panel. As far as the software department is concerned, both these handsets run EMUI, Huawei’s custom UI atop an Android core. Let us now check out what the differences are. 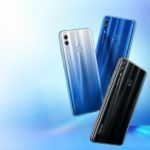 Honor 10 Lite vs. Huawei Y9 (2019): What’s different? 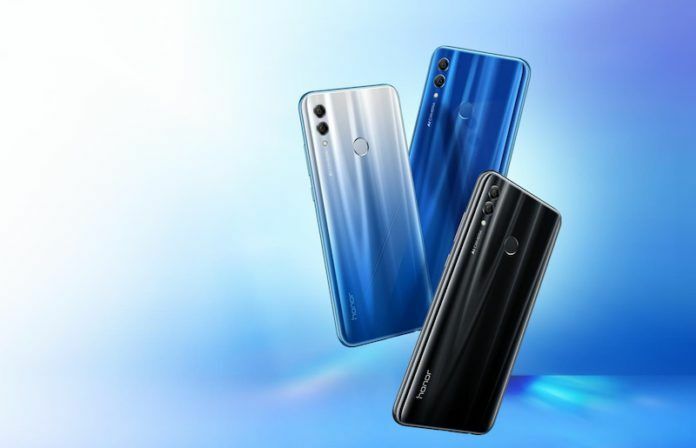 While both these handsets use the same HiSilicon Kirin 710 SoC, the Huawei Y9 (2019) is offered in a single 4GB RAM version with 64GB of internal storage. The Honor 10 Lite, on the other hand, comes in a base 4GB RAM + 64GB version as well as a pricier 6GB RAM variant with 64GB storage. Both these handsets also get a microSD card slot for additional storage. As far as the battery is concerned, the larger Huawei Y9 (2019) has the advantage here thanks to its 4,000 mAh battery compared to the 3400 mAh unit on the Honor 10 Lite. While this might not be obvious by looking at standalone images, it is a fact that the Huawei Y9 (2019) is a phablet-sized device with a very large display even by today’s standards, and is quite a bit larger than the Honor 10 Lite. The Y9 (2019) gets an IPS LCD panel that measures 6.5-inches across with a resolution of 2340 x 1080 pixels. The Y9 also gets a standard notch at the top. The Honor 10 Lite also uses an IPS LCD panel but happens to be a smaller 6.21-inch display with identical resolution. 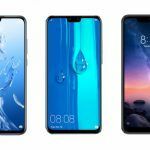 The notch on the Honor 10 Lite, however, is a more stylish waterdrop styled version. These two handsets also have slightly different camera configurations. The Huawei Y9 (2019) uses a 16-megapixel + 2-megapixel camera set up at the rear as opposed to the 13-megapixel + 2-megapixel setup on the Honor 10 Lite. The front camera setup is also different on both the handsets with the Honor 10 Lite getting a single 24-megapixel camera at the front while the Huawei Y9 (2019) gets a 13-megapixel + 2-megapixel dual camera setup. Honor 10 Lite vs. Huawei Y9 (2019): Which one should you buy? Choosing between the Honor 10 Lite and the Honor y9 (2019) is not a straightforward task. However, since the Huawei Y9 (2019) has a larger display, it will make sense for you to go for that device in case you consume a lot of content on your mobile phone and if this will be your only source of entertainment. The phone should also offer great battery life. However, if the overall value for money aspect is taken into account, the entry-level 4GB RAM+ 64GB version of the Honor 10 Lite (INR 13,999) is cheaper than the 4GB RAM + 64GB version of the Huawei Y9 (INR 15,999). That being said, you do get a Bluetooth headset from Boat worth INR 2,999 with the Huawei Y9 (2019) while the Honor 10 Lite doesn’t even come with one. In the end, it is a pretty close call between these two, and I would personally choose the Honor 10 Lite over the Y9 (2019) simply because I find its size more appropriate for my kind of use.